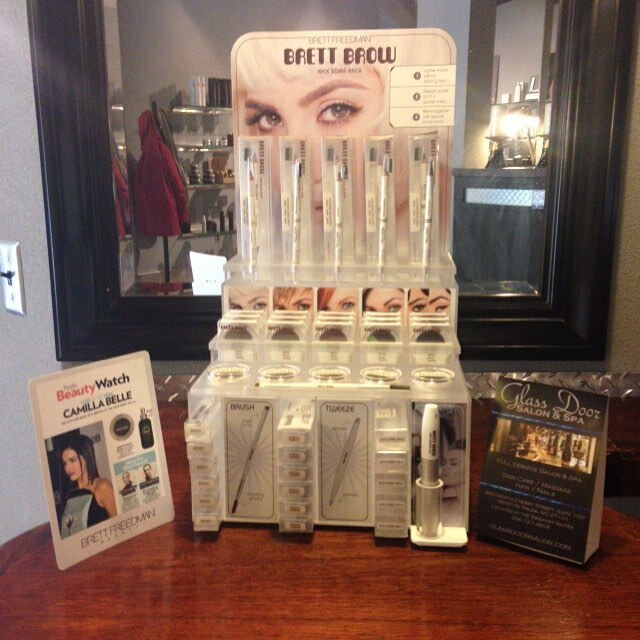 Glass Door Salon & Spa is pleased to use and sell the following product lines. Make your brows the best they can be! 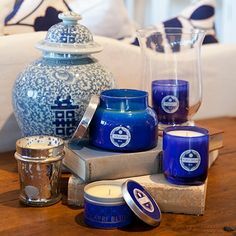 Capri Blue has become the destination for unique fragrances & vibrant vessels. We create an engaging combination for your senses. CosMedix skin care products are the answer to a healthy complexion without irritation through the use of only the most purified, chirally correct and effective ingredients that are safe and beneficial for the skin. For more than 30 years, essie has been an industry icon, trusted by beauty professionals, celebrities and even royalty – an American classic that allows women all over the world to express themselves and have fun with color and whimsical names. With this dapper gent in mind and for the love of Hollywood's golden eraand the distinguished and dashing leading men of the silver screen, lead to the development of JS Sloane's first products offering a trio of bespoke grooming essentials. Laila Eau de Parfum is “fresh, clean & alluring - everything a woman wants to be!”. An exhilarating blend of natural oils, Laila is an infusion of Norwegian mountain wildflowers with just a touch of fruit inflections – including watermelon. With no synthetic additives, it mixes with the skin’s own oils to remain fresh all day without turning or fading. Bond Multiplier that dramatically eliminates breakage from chemical services and leaves hair feeling amazing! Sebastian was born from a vision of beauty without boundaries. We think outside the lines of our craft, and follow our artistic ambition to the edge, creating new possibilities for self-expression. Style Edit's product range is dedicated to solving the impossible, bringing the return of hope, confidence and head-turning hair. J. Aris Koroyan created SUDZZfx® products to meet the demands of fresh, edgy stylists who strive to be true Design Artists and demand reliable treatment and styling tools to help their urban/urban aspiring clients to express their individual selves. theBalm Cosmetics boasts a complete line of makeup, skin care, hair care and nail polish. With a "beauty in five minutes" philosophy, theBalm's multi-use, mega fabulous products have become its calling card, offering quick fixes and wondrous solutions for a wide range of beauty wants and needs. Inspired backstage and honed at the salon, UNITE has fast become one of the most sought-after product lines globally. UNITE is proudly sulfate-free, paraben-free, sodium chloride-free, non-animal tested (PETA certified). With EIMI you can truly be yourself, say what you say and shout it out: interpreting the latest global trends, setting new accents of style and originality. EIMI molds and empowers, shapes and inspires: in a word, Individuality. Products we carry and use to provide the best services possible: Wella, Redken Shades EQ, Pravana Fashion Color, Sebastian, Sudzz Fx, Unite Hair Therapy, Style Edit Root Powder, The Balm Cosmetics, JS Sloane, Nioxin, Olaplex, EiMi Styling, Olivia Garden, The Wet Brush, Laila Fragrance, Brett Brow by Brett Freedman, Visual Changes Skin Care, Cosmedix Skin Care, Qtica, Essie, Opi, CND Shellac, Fusion Styling tools, Babyliss Pro, Hot Tools Pro, Capri Blue Candles, and Mast Chocolates. We have a full retail store for all of your shopping needs.